Creator David Cage wants Motown to keep its dignity. "When you set your story in a specific city, it's a very sensitive thing to do," said David Cage, the director of the upcoming PlayStation 4 exclusive Detroit: Become Human. "You don't want to do it if you're not respectful of the place, of the people living there." Cage's next game with studio Quantic Dream deals with a near-future world where androids aren't a mobile operating system for your phone; instead they're "living" among us with hopes and desires of their own. Specifically? Transcending their circuitry and, as the name suggests, being human. Detroit tells the story of several humanoid robots and is set entirely in the Motor City. Like Cage's Heavy Rain and Indigo Prophecy, Detroit is a narrative-based, choose-your-own-adventure game where the decisions you make in the story have huge ripple effects. Ultimately your actions could lead to main characters dying. As Cage told it, the game couldn't have taken place anywhere else. He said that the tale of an industrial titan -- Detroit and its automotive-manufacturing background -- going through difficult times and being reborn was a natural fit for his narrative. "Where would an android industry go? There would probably be a need for huge factories and a lot of space. I thought that Detroit would be a perfect place for that," he said. This isn't the only time the city has been used as the setting for a video game recently, and for the same reasons. When Deus Ex: Human Revolution was released in 2011, it used Motown as the headquarters for the human-augmentation industry. Cage said that this doesn't affect his vision for Detroit. "I don't like to look too much at what people do at the same time," he said. "You don't want to make decisions just because someone else did something a little bit like this, and then you need to find something that is not as good just for the sake of being different." Cage's 'Detroit' doesn't just use the city's name as shorthand for its cultural history. Unlike Human Revolution, Cage's Detroit doesn't just use the city's name as shorthand for its cultural history. 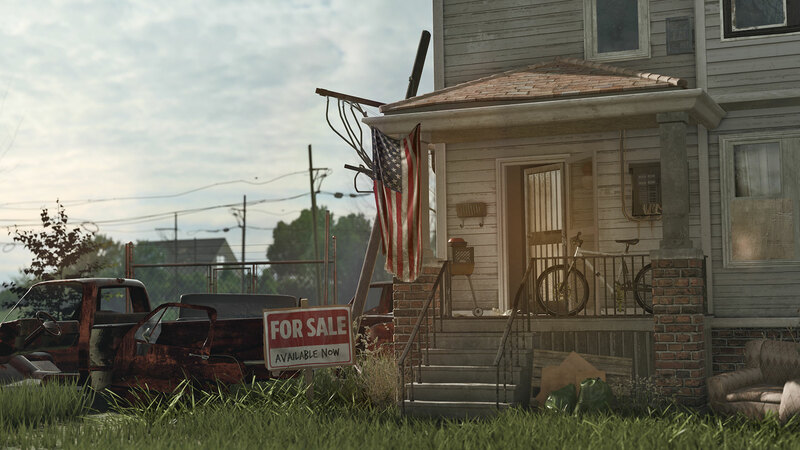 Some of Detroit's most recognizable landmarks have appeared in trailers for the game so far. The statue of Joe Louis' fist, downtown's monorail system and, yes, blighted houses, are but a few examples. For people who live in Michigan or have spent a lot of time in Detroit, it can be aggravating to see the media paint the city as nothing more than burned-out homes and abandoned buildings. For instance, a level in 2014's Call of Duty: Advanced Warfare transformed the city into a refugee camp. "I can't believe this is Detroit," a character in Advanced Warfare quipped at one point. "It hasn't changed that much," said another. And that's four years after attacks on nuclear power plants around the world had thrown earth into chaos, 2059 in the game's timeline. The team at Sledgehammer Games used Detroit as a lazy signpost for a destroyed city when, honestly, a few lines of dialogue could've been changed and the level could have taken place in an Eastern Bloc country. Cage doesn't want that. His team at Quantic Dream spent time in Detroit during production because he hates writing a story about a place he hasn't been. He traveled around, visiting decrepit churches and meeting the people who are rebuilding the city, and he came away inspired by the energy he felt. 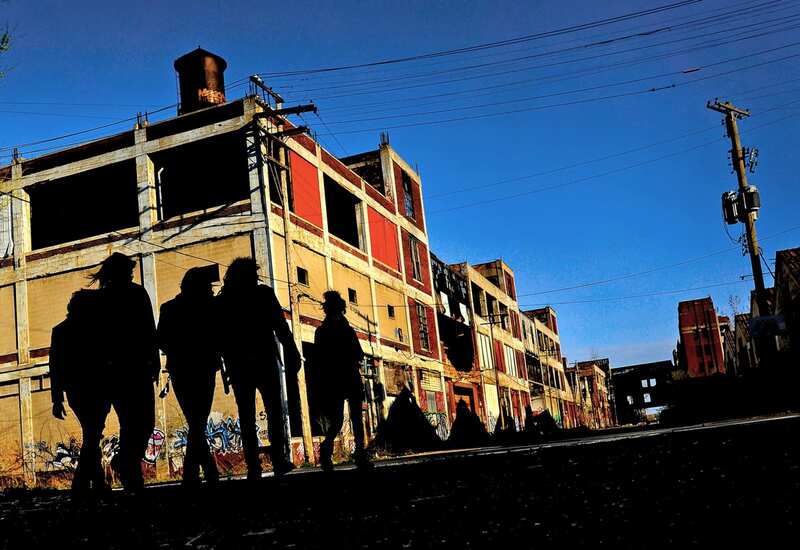 He even made his way through the abandoned Packard Automotive plant that graffiti artists have adopted as a 3.5 million square-foot canvas since its closure in the late '90s. "It's definitely a surreal place in many ways," he said. "You could tell just watching the rooms and how beautiful it was one day. You can still feel it and easily imagine how it could become something incredible again." If Cage's game is focused on a decline, it isn't of Detroit, it's of a race: humans. He said that the advances we've made in artificial intelligence, coupled with our penchant for violence and conflict, were a good jumping-off point for his game. Cage believes that high-powered artificial intelligence that can walk among us is an inevitability. But whether that will be something good or bad is anyone's guess at the moment. Tesla and SpaceX mastermind Elon Musk and astrophysicist Stephen Hawking think that our current trajectory could end badly for the human race. Hence their dire warnings and multimillion-dollar donations to keep a Skynet-like situation from occurring. "What I wanted to do with Detroit is take the opposite angle and not necessarily say that technology is going to be our enemy and that [androids] are going to destroy us," Cage said. "But, rather say, 'What if we were declining? What if the human race, through hate and violence, what if it was the end of a certain era and maybe the beginning of something else?'" The juxtaposition of humanity decaying and technology taking over probably wouldn't be as effective if the game was set anywhere other than Detroit. It's Cage and his team's attention to detail and reverence for Motown that ring most clear and ground their vision of a fantastical future in reality. "If you just come [to a city] and steal what you want to steal for your piece and just leave, that's one approach," he said. "But we were sincerely moved by the place, by its history, by the people we met. We wanted to be fair to them and tell a story that would work for them. "We love the city, honestly." Follow all the news from E3 2016 here!